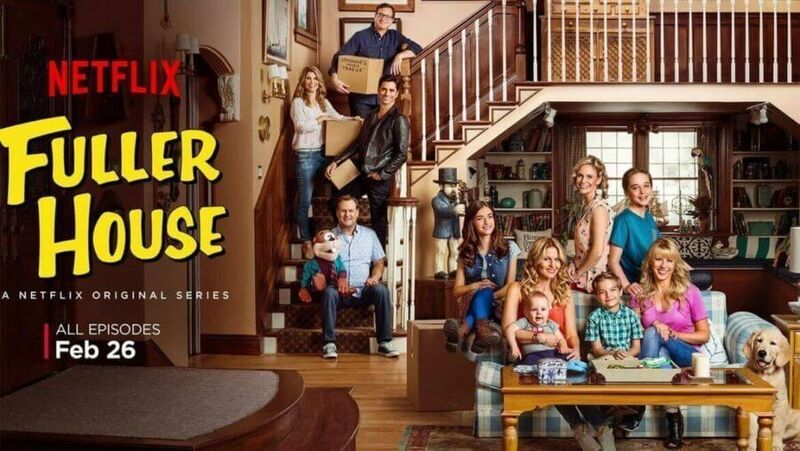 Chances are you probably already know that Fuller House premiered on Netflix yesterday. My sisters and I had a special "sisters night" and tuned in to watch the first few episodes together, since we watched much, if not all, of the original series with one another. I think we all enjoyed ourselves. The show was exactly how I thought it would be and it felt really nice to be able to watch it with all of our kiddos. I had shown Drew some of the teaser trailers earlier in the week, since she loves watching reruns of Full House, and she was just as excited as I was. Today, I have a dentist appointment, but afterward, I am hoping to relax in front of the television and Netflix. I'm on a major nostalgia kick and hopefully, we will be able to find some of the shows that Matt and I watched when we were younger, and introduce them to our girls. Then, maybe we'll finish watching the rest of Fuller House. What do you enjoy binge-watching on Netflix? I mean, you do have Netflix, right? I've had Netflix for over 10 years (yes- back in the day of DVD rentals by mail!). Did you know that you can save money and get access to more Netflix titles through a VPN - with Notflix showing you how? That's right! Every mom loves a mom win of saving money! Start Getting more out of Netflix today!